If you’ve been following me on Instagram and Facebook, you probably know that 1.6 years ago I moved to Latvia, where I currently reside. I find Latvia to be pretty similar to my home country Lithuania – the language is similar, the climate is similar and so is peoples mentality. Even though Lithuanians and Latvians tend to mock each other a bit, both countries are quite a fan of each other so my expectations of Latvia are probably more or less the same as if I lived in Lithuania. One of the fascinating things that I found here, however, is peoples tendency to “go back to their roots” – i.e. people proudly wear linen clothes, make and drink home-made teas, some families produce home-made kvass and cider and people pick linden and apples altogether to make some yummy, fragrant tea and a delicious apple pie. To me, Latvia is all about making stuff. It’s about creating stuff. So when it comes to cold, obviously, the best remedies are also (most likely) made by your own. If not by yourself or your family – then perhaps by your neighbor who was kind enough to give you a jar of honey for Christmas. Probably every family has stored several kinds of family-picked dried herbs that serve as the number one panacea when the usual cold symptoms start kicking off. Tea nr.1 against cold in Latvia would definitely be kumelīte (eng: chamomile) with a drop of honey to brighten the day. Since chamomile is normally used in herbal medicine for a sore stomach and as a gentle sleeping aid, a soothing combination of chamomile tea and honey (see below) will definitely give you a better, lighter feeling. As people start feeling sick in Latvia, you will normally find a big jar (~ 1-2kg) of honey not only on the kitchen tables at home, but in offices across the country, too. Honey is either added to the tea or eaten with a spoon as you start having sore throat. Honey is arguably the tastiest way to strengthen your body in times of need. 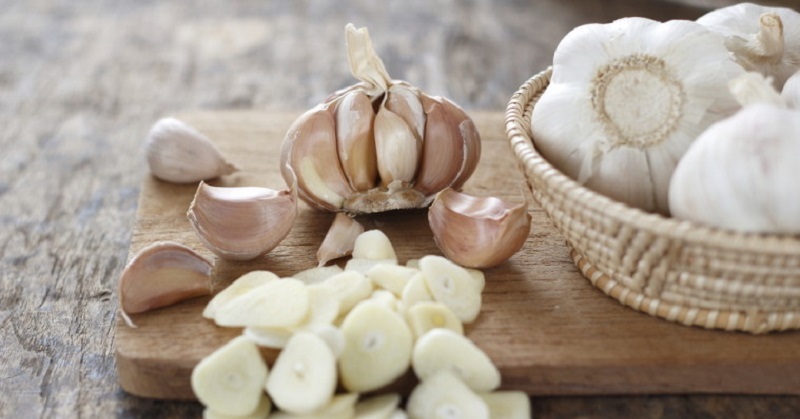 Even though garlic is not as tasty and pleasant as other earlier mentioned ways of fighting the symptoms, eating fresh garlic is purported to known out your flue due to allicin, a powerful compound obtained from garlic that can prevent attack by the common cold virus. Of the the best (and least frightening) ways of consuming fresh garlic is adding some crushed garlic in a carrot salad or adding some in your sandwich. There is evidence that cranberries have a mild anti-bacterial effect in the body. And, although cranberries are not an antibiotic, they are loaded with vitamin C, which is essential to find the first cold symptoms. Make sure to stay warm – drink plenty of hot liquids, eat clean and wear lots, lots, LOTS of sweaters to keep that flu away!